It’s the 16th December 2015, Chelsea have endured their worst start to a season since 1961/1962 leaving them just two places above the relegation zone. Following this string of calamitous results, and with rumours circulating of a rift between players, manager Jose Mourinho is sacked for the second time. Fast forward eighteen months and the picture could not be more different. Antonio Conte has transformed the side into winners – they are on the verge of the Premier League title and in the final of the FA Cup. How did he do it? And why do we predict that they will win the FA Cup? Conte may be known for his tactical nous, but the same could be said for his predecessor Mourinho (or any of the managers at the top of the Premier League). Conte’s real masterstroke this season has been in creating a team that is not only tactically strong but also psychologically strong. While most managers say they “need time” to build a great team, Conte has put in place the psychological foundations to speed up this process and take the Premier League by storm in his first season at the helm. He has done this by creating an identity at Chelsea. This is not simply a style of play but a cluster of beliefs that enables players to psychologically engage with the team, such that the team becomes part of who they are – part of their identity. In collaboration with the University of Sussex, we found that this psychological shift has a strong and measurable impact on team performance. In fact, the 20% of teams with the strongest identities outperformed the weakest 20% by a massive 53%. This isn’t a marginal gain, but instead the type of difference in performance that can explain how Conte turned Chelsea from mid-table mediocrity, to the verge of greatness. But how exactly has he done this? Knowingly or not, he has put in place five fundamental psychological foundations – continuity, meaning, distinctiveness, belonging and efficacy – that our research shown leads to a strong identity and a great team. When a new manager comes in, they often want to change everything, most of all the players they inherit. The problem is, that having connection from past to present to future (the continuity foundation) is one the key psychological ingredients of high performing teams. Unlike Pep Guardiola who put several City stalwarts out in the cold, including goal keeper Joe Hart, Conte recognised the need for continuity and kept faith with the players he inherited. One particular masterstroke was keeping John Terry, not because he was likely to play a huge role in the first team (he’s only played a handful of games this season), but because he lives and breathes what is means to play for Chelsea and provides a golden thread of continuity with the great Chelsea sides gone by. It’s with the help of Terry that Conte organised monthly dinners that enabled strong bonds (the belonging foundation) to be forged amongst players. As Marcos Alonso, one of Chelsea’s stars this season, recently revealed: “We have been going out for dinner once a month all together as a group, just enjoying each other’s company off the pitch as well. It’s been a great help and the atmosphere within the squad is amazing. You can see that when we’re on the pitch”. Contrast this to the reports of infighting and discontent from top players at Arsenal, and it’s easy to see why Conte and his men already have one hand on the FA Cup trophy. Not because they have more talented players, but because these players are working together. When cohesion and belonging in a team breaks down, players perform for themselves rather than the team – something that can pull a team apart, just when it needs to work together the most. Becoming a close knit group is only half the story though, a compelling identity is one that also informs how to behave on the pitch. This is where the remaining psychological foundations – distinctiveness, meaning and efficacy – come to the fore and overlap with Conte’s tactical intelligence. Chelsea’s distinctive 343 has been a revelation this year and its effectiveness is down to the fact that players automatically recognise that they have a meaningful role to play and exactly what they must do in order to achieve success. 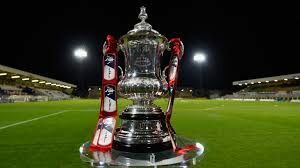 When players know they have an important role to fulfil (meaning foundation) in a system that has a clear and distinctive identity, they become confident in their ability (efficacy) and learn to react more quickly and to be sharper at crucial moments in games when under immense pressure to perform (an FA Cup final for example). This hasn’t happened over night; it’s developed as the season has gone on. Conte though, has always recognised its importance; here is what he said when Chelsea faced off with Liverpool in January: “We have grown since our first meeting with Liverpool and we have improved a lot in terms of our identity…Liverpool have their own identity and that makes them stronger – they play 4-3-3. When you change your system, you lose your identity and it makes it easier for other teams to beat you”. By laying these psychological foundations, Conte has succeeded in creating a strong and compelling identity that informs how players behave on the pitch. Identity, then, isn’t a mysterious or abstract construct, it’s a concrete mechanism that leaders can use to increase performance. We have turned our research into our pioneering team development model called TRIBE. If you want to know more about TRIBE, and how it could help improve the performance in your team, get in touch. If you’re interested in reading more about the science behind high performing teams, you can download our White Paper here.